Diet as a teenager isn't about looking like that model in your favorite fashion magazine, it's about making sure that your body is a healthy weight. The average teen doesn't actually need to diet. Instead, a teens diet plan should focus on eating healthy foods and engaging in daily exercise to maintain a great physique. A diet isn't about cutting out all foods and just eating the leafy greens. While these are important, it's more important that a teen eat a healthy balanced diet that meets your daily calorie requirements. A healthy diet will include three meals a day (breakfast, lunch, and dinner) along with multiple snacks (three snacks are typical). Your plate should include a balance between fruits, vegetables, grains, proteins, and dairy. At this age, calcium and iron are extremely important. Calcium is important for bone growth while iron helps with lean body mass. MyPlate.gov can help you find the perfect proportions for your plate. In addition to eating the right foods, it is important to get about 60 minutes of exercise a day. Following a healthy diet plan is important for all ages; however, there are different ways that you will do this depending on your gender, purpose or activity level. Explore the ways your plate might look different from your peers. If your body weight is falling into the overweight or obese category, then you might be looking to lose weight. 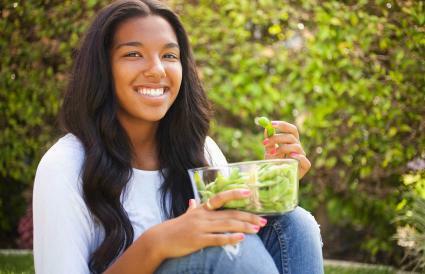 There are several diet plans out there that can work for teens. However, a few simple tips can help you to lower your body weight. Cut back on unhealthy fats. These are fats that might be found in candy, ice cream, cookies, cakes, and fried foods. Focus more on fruits and vegetables and healthy fats like nuts and avocados. Avoid fast food. Most of the time fast food is fried and unhealthy. One meal can be all your calories for the entire day. If you can't go without fast food, try to limit it to once a week. Avoid soda, pop and fruit juice even the diet ones. Instead look for water, tea, and other low-calorie options. Fill up on fiber and protein. Not only is protein good for you but it makes you feel full. Getting enough protein and fiber can make you feel full longer. Eat smaller portion sizes. Many times, it's not that you aren't eating the right things, it's that you are eating too much. Try cutting your portions by a third and only eating until you feel full. Indulge yourself once in a while. Having ice cream and candy in moderation is good for you. Not only will it help your cravings, but ice cream has calcium. Active teens will find that they actually need to eat more than your typical teen to maintain their weight and be healthy. This doesn't mean filling up on junk food, but instead, add more protein and carbs to your diet. You can also follow some of these teen diet plan tips. Pack snacks with high energy foods like nuts and berries for between meals. Make sure you get enough protein. Adding a protein shake can make sure you are getting protein every meal. Carbs are fuel. That plate of whole wheat pasta is good for you. On average a boy needs more calories per day than a girl. This means that they will need to eat more at each meal or plan more meals. To maintain your health, follow this simple advice. Eat snacks throughout the day. Not only will this help to maintain blood sugar but ensure that you eat enough. Stay active. Getting enough activity is key to a healthy body. Avoid overeating by chewing slowly and only eating until you're full. Protein is important and should be 15-25% of your diet. Depending on activity level, girls need between 1,600 and 2,400 calories per day. To make sure you maintain a healthy figure, try out these tips. Eat fruits and veggies as snacks to make sure you are eating the right quantity. Make sure to drink enough water every day. Choose baked rather than fried foods. Make sure to get enough iron, especially during menstruation. Fad diets that severely limit your calorie intake or limit you to only specific foods should be avoided. These diets are unhealthy and can lead to unhealthy behaviors. Eating right isn't about losing weight, it's about being healthy. Talk to your doctor before changing your diet plan. If you're trying to lose weight, ensure that this is the healthy option. Make sure that you eat enough calories to stay at a healthy weight. Do not use diet pills or other weight loss supplements unless recommended by your doctor. 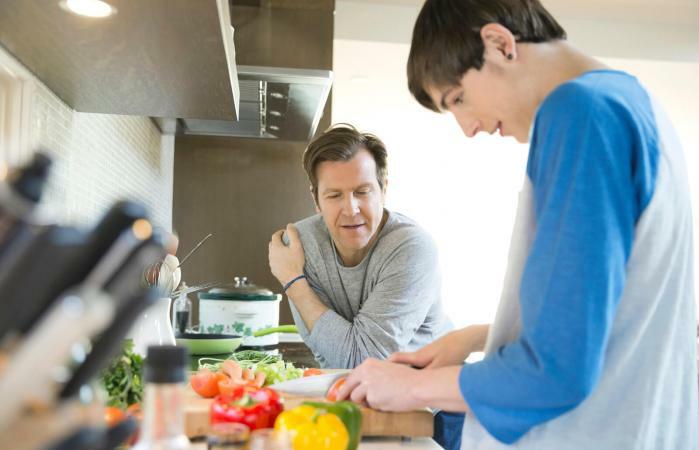 Teen diet plans should focus on healthy eating through a combination of eating the right foods and getting enough activity. While it is healthy to splurge on sweets once in a while, you don't want these to take up a major portion of your daily calories. Instead focus on healthy foods like proteins, grains, fruits, and veggies. And don't forget to drink your milk.